The following are vibration related terms and definitions. A vector quantity that specifies rate of change of velocity. A sensor whose electrical output is proportional to acceleration. An amplifier whose output voltage is proportional to the output charge from a piezoelectric transducer. Has the advantage that voltage output is not affected by length of connecting cable from the transducer. The ease with which a system may be displaced or compressed for a given force. The reciprocal of stiffness. A vector quantity that specifies the change of position of a body. Usually measured from the rest position. Any means of dissipating vibration energy within a vibrating system. Ratio of actual damping to critical damping, at a resonant frequency. In a mechanical system, equals the minimum number of independent co-ordinates required to completely define the position of all parts of the system at any instant of time. Ratio of applied force to resulting acceleration during simple harmonic motion. Ratio of stress to strain under vibratory conditions. An external force or motion applied to a system that causes the system to respond in same way. Retardation Agency which gives a mass an acceleration. Excitation of a structure with a force pulse e.g. using an Impact Hammer. Well defined pulse. Periodic impulse is repeated impulses. An electrical frequency filter used to convert a vibratory acceleration signal to one whose amplitude is proportional to velocity or displacement. A vector quantity that specifies time rate of change of acceleration. Ratio of applied force to resulting velocity during simple harmonic excitation., Called driving point impedance if force and velocity are measured at the same point, otherwise called transfer impedance. Mechanical admittance. Inverse of mechanical impedance. A process of determining the mode shapes and associated parameters, natural frequency and damping. An oscillatory motion whose amplitude pattern repeats after fixed increments of time. A vibration whose instantaneous amplitude is not specified at any instant of time. Instantaneous amplitude can only be defined statistically by a probability distribution function which gives the fraction of the total time that the amplitude lies within specified amplitude intervals. Pseudo, or Periodic and Burst random are special forms. Conditions of peak vibratory response where a small change in excitation frequency causes a decrease in system response. Motion or other output resulting from an excitation, under specified conditions. Rapid transient transmission of mechanical energy. A periodic motion whose displacement varies as a sinusoidal function of time. Ratio of the change in force to the corresponding change in displacement of an elastic element. Ratio of the amplitude response of a system in steady state vibration to the excitation amplitude. A vector quantity that specifies time rate of change of displacement. A resilient support that reduces transmissibility. An instrument for measuring oscillatory displacement, velocity or acceleration. 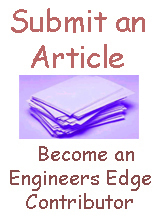 A criteria for predicting the hazard related to specific machine vibration levels. A preamplifier which produces an output voltage proportional to the input voltage from a piezoelectric accelerometer. Input voltage depends upon cable capacitance.